Chipotle at 1720 Washington Rd. Join us on December 9, 2018 from 10:00 A.M. to 7:00 P.M. at the Barnes & Noble and South Hills Village for a day of shopping, great music, books and fun! 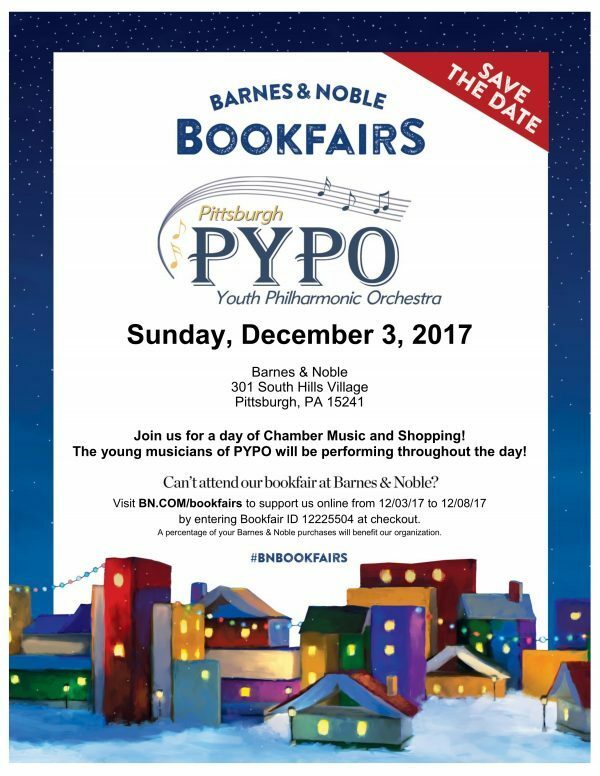 The young musicians of PYPO will be performing in chamber ensembles throughout the day and PYPO volunteers will be helping to wrap gifts for a donation. If you mention PYPO when you pay, a portion of your purchase will go to help PYPO! 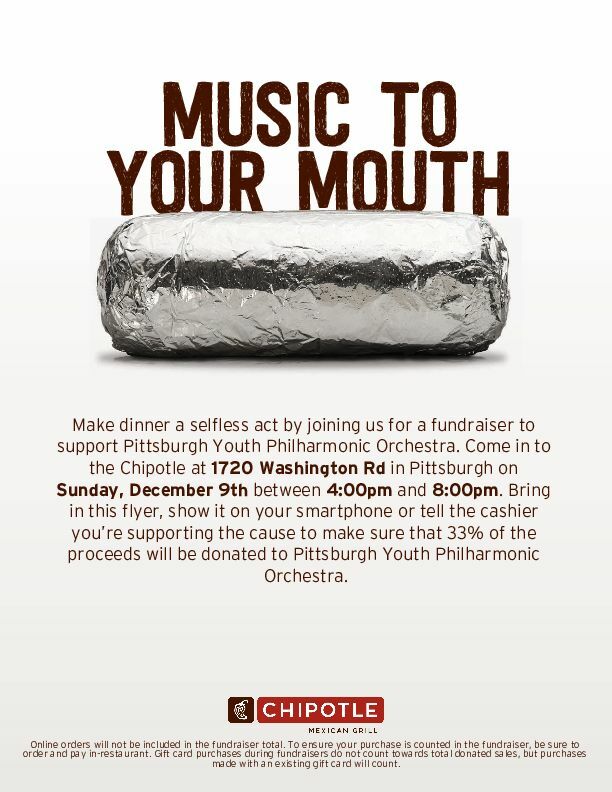 Then, head over to Chipotle Mexican Grill from 4:00 PM – 8:00 PM for a bite to eat! If you mention PYPO when you check out, a portion of the proceeds will benefit PYPO!